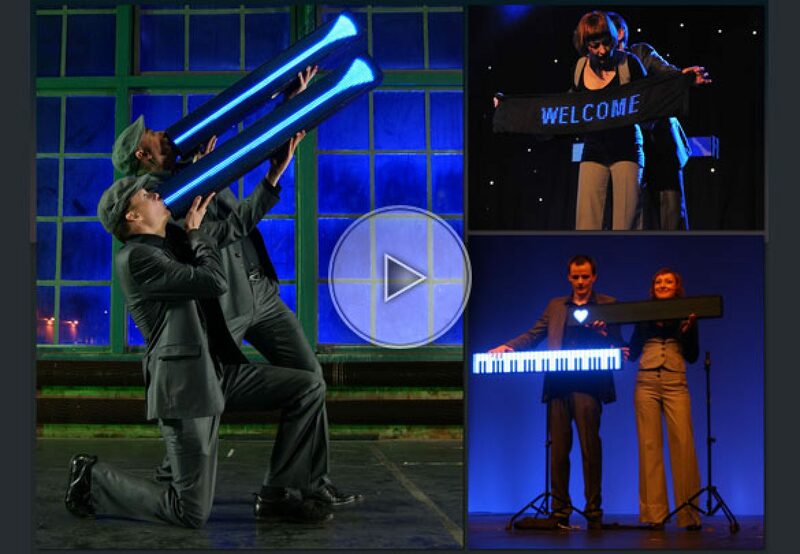 Two LED displays and two actors - that is all you need to astonish your guests! This unique audio visual show act provides a fascinating interplay of light and magic as an integral part of a fabulous performance. It clouds the distinction between man and technology, between reality and the virtual world.This act will leave the fascinated audience with a lasting impression. The integration of logos and eye-catching slogans ensures that each show is unique.